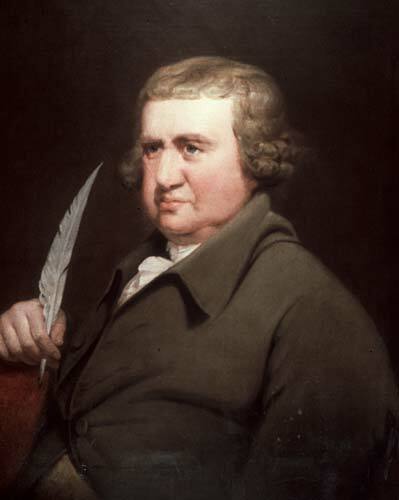 Erasmus Darwin, grandfather of Charles Darwin, was born near Nottingham on December 12, 1731. He was educated at Cambridge and Edinburgh and settled first near Lichfield and later at Derby. A remarkable polymath, he became a best selling poet during the same years that he worked as a country doctor, naturalist, medical botanist, and inventor. 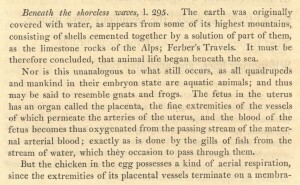 Darwin expounded one of the earliest theories of evolution (“all vegetables and animals now living were originally derived from the smallest microscopic ones”), and he described the importance of sexual selection to continuing changes within species (“the final cause of this contest among males seems to be, that the strongest and most active animal should propagate the species, which should thence become improved”). His two most important technical works are Zoonomia (1794), a medical textbook punctuated with reflections on philosophy, natural history, and human life and Phytologia (1800), a scientific discussion of agriculture and gardening. His book length poems, The Botanic Garden (1789-91) and The Temple of Nature (1803), were widely read and even more widely discussed. His friends and associates included a pantheon of leading lights in a wide variety of fields: Jean-Jacques Rousseau, Joseph Priestley, Josiah Wedgwood, James Watt, Dr. Johnson, the poet Anna Seward (who also wrote Memoirs of the Life of Dr. Darwin), and R. L. Edgeworth, father of Maria. attribute the possibility of emotion to plants. He expressed great interest in the work of Volta and Galvani on muscular contraction, arguing in 1791 that electricity was the basis for all nerve impulses. He recorded accurate observations on subjects as wide ranging as photosynthesis, neurology, meteorology, geology, and psychology. Darwin exerted a powerful influence on Wordsworth, Coleridge, Shelley, and Mary Shelley among other literary figures. 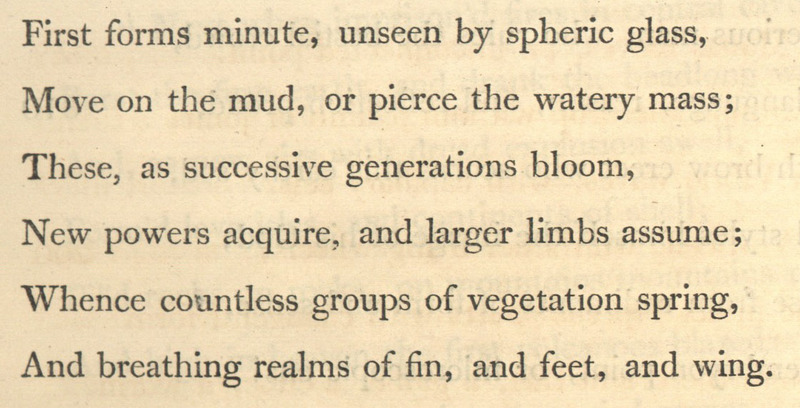 Wordsworth cited him as a source for “Goody Blake and Harry Gill” in Lyrical Ballads (1798) and Coleridge claimed that Darwin possessed “perhaps, a greater range of knowledge than any other man in Europe, and is the most inventive of philosophical men.” Coleridge, however, also coined the term darwinizing, meaning to speculate wildly, in reference to Darwin’s evolutionary ideas. In addition, Wordsworth and Coleridge clearly had Darwin, among others, in mind when they attacked the “gaudiness” of eighteenth-century poetic diction in the “Preface” to Lyrical Ballads. Darwin was clearly in the minds of the Shelley Circle (Mary, Percy, Lord Byron, Polidori) during the Frankenstein summer of 1816; he is referred to in Percy’s “Preface” to the 1818 edition and in Mary’s introduction to the 1831 edition of the novel. Even Keats, who studied medicine before turning to poetry, was affected by the power of Darwin’s ideas about an organic unity that linked plants, animals, and human beings. The earlier Darwin is clearly the natural historian most directly responsible for many of the ideas that made their way into a wide range of Romantic literary writings. He is referred to in the introduction to Mary Shelley’s 1831 Frankenstein (Smith 22), was praised by Coleridge as having “a greater range of knowledge than any man in Europe” (Barber 210), and was used by Wordsworth in”Goody Blake and Harry Gill” (Wordsworth 688). Erasmus Darwin’s capacious and synthetic mind worked consistently to question the notion of immutable species. He not only personified and humanized the sexual life of plants (in “The Loves of the Plants”), for which he was parodied and reviled, he also anticipated the outlines of his grandson’s subsequent theory of evolution. In his Phytologia (1800), Erasmus Darwin described the “muscles, nerves and brains of vegetables,” concluding that plants have sensations and volition, “though in a much inferior degree than even the cold-blooded animals” (133). 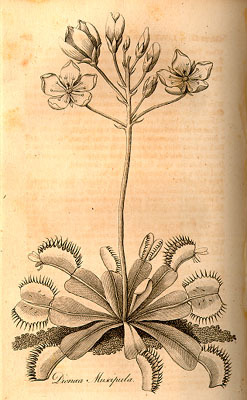 In The Temple of Nature (1803), he describes the Lycoperdon tuber, a plant that “never rises above the earth, is propagated without seeds by its roots only, and seems to require no light. Perhaps many other fungi are generated without seed by their roots only, and without light, and approach on the last account to animal nature” (48). Darwin also argues, in Zoonomia (1794), that nature is full of complex forms of variation and metamorphosis within the lives of single creatures as well as types. He cites caterpillars changing into butterflies, tadpoles into frogs, the “feminine boy” into the “bearded man,” and the “infant girl” into the “lactescent woman” as examples of dynamic and mysterious changes in individuals (Zoonomia 2: 233). He also marvels at “great changes introduced into various animals by artificial or accidental cultivation, as in horses” (2: 233). This line of thinking allows him to conclude that “all animals have a similar origin, viz. from a single living filament” and that “it is not impossible but the great variety of species of animals, which now tenant the earth, may have had their origin from the mixture of a few natural orders” (2: 230-31). He even goes so far as to cite David Hume’s claim that “the world itself might have been generated, rather than created” with the resulting conclusion that all organisms would then derive not only from earlier organisms but ultimately from inorganic substances (2: 247). 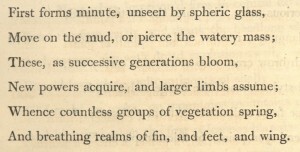 While the Romantics often criticized Darwin for his eighteenth-century poetic diction, his enthusiasm for materialist science, and the speculative aspects of some of his thinking, they were powerfully influenced by his view of the natural world and his belief in connections between human and nonhuman life. And seeks his panting bride on Hymen-wings. Claims like these about plant life consistently suggest that willfulness, intention, and pleasure all extend – albeit in diminished forms – from humans to animals to plants, and even beyond. Pleasure in the entire biotic realm is increased not only by the prolific reproduction of “insects” (the word means “small creatures” to Darwin) and microscopic organisms but by the death and organic regeneration of larger creatures: “The sum total of the happiness of organized nature is probably increased rather than diminished, when one large old animal dies, and is converted into many thousand young ones; which are produced or supported with their numerous progeny by the same organic matter” (Temple, 190-91 n.). 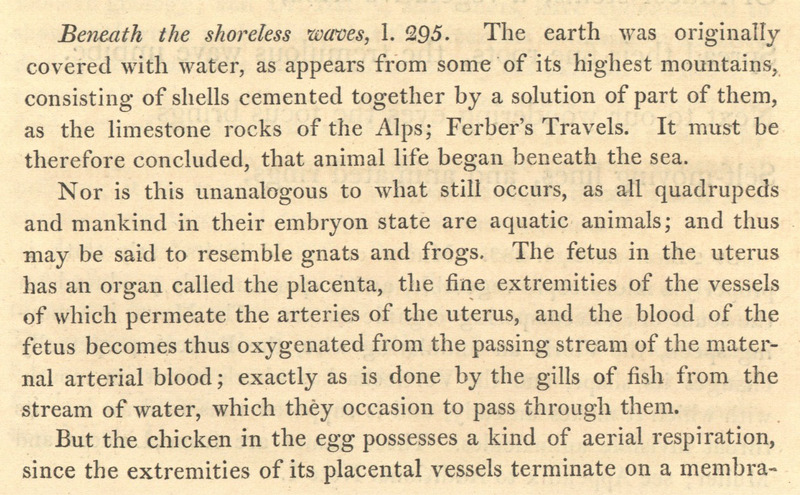 Darwin also notes that the Pythagorean belief in the transmigration of souls derives merely from the organic and “perpetual transmigration of matter from one body to another, of all vegetables and animals, during their lives, as well as after their deaths” (191 n.). This chemical and organic movement of elements through the bodies of living creatures leads, over eons, to a unified and complete “system of morality and benevolence, as all creatures thus became related to each other” (192 n.) in terms of the matter that composes them. What Darwin calls the “felicity of organic life,” is a function of the “happiness and misery of [all] organic beings”; this felicity, he says, depends ultimately, on “the actions of the organs of sense” and on “the fibres which perform locomotion” (194 n.). Every living thing, Darwin concludes, is subject to “immediate sources” of “pains and pleasures,” the encouragement or avoidance of which might “increase the sum total of organic happiness” (194-95 n.). Pain and pleasure, he goes on to argue, are a function of the expansion and contraction of nerve and muscles fibers of sensation, organic elements which exist in all living things, albeit in a variety of forms and intensities. All emotional responses – pleasure, pain, happiness, sadness – are thus based solely on the motion of material parts of each life form. More dry land over eons, more living things century upon century, more happiness produced from millennium to millennium. At this point, Darwin breaks down the boundary between organic and inorganic as part of his wider economy of nature, what we might now call his “ecology.” Material processes, compounds, and elements—which he always describes in fundamentally chemical terms (clay, sand, coal, heat, oxygen, hydrogen, carbon, phosphorus)—compose, decompose, and re-compose, first into inorganic, then into organic, and ultimately into animate creatures, including human beings. Darwin also argues that the plant and animal kingdoms are connected by the possibility of sensation. In Zoonomia, he describes “Vegetable Animation”: “The fibres of the vegetable world, as well as those of the animal, are excitable into a variety of motions by irritations of external objects. This appears particularly in the mimosa or sensitive plant, whose leaves contract on the slightest injury ” (I, 73).2 But the “fibres” responsible for sensation are also related to pleasure: “when pleasure or pain affect the animal system, many of its motions both muscular and sensual are brought into action . . . The general tendency of these motion is to arrest [i.e. stabilize] and to possess the pleasure, or to dislodge or avoid the pain” (I, 31). The conclusion Darwin draws is obvious: “the individuals of the vegetable world may be considered as inferior or less perfect animals” (I, 73). Venus fly-trap (from The Botanic Garden) occasioned much debate because of the appearance of “sensation ” plants.